Sometimes, LanguageCorps applicants ask if we can put them in touch with a current teacher that they can talk to as a reference of sorts. It’s totally understandable. Before committing a significant chunk of time to teaching English abroad, many people want to pick the brain of someone who has been there before. They want to see what it’s all about, ask some questions, and get a feel for the experience of other people that have gone through our TEFL certification programs. That’s a perfectly reasonable request, and we’re happy to accommodate such requests! One current teacher in Budapest sent an interesting response after talking to a prospective teacher though, and it made all of us here in the LanguageCorps office think a little bit. We exchanged a few emails back and forth about how interesting her statement was, and I thought it might provide some fodder for the readers of our blog as well! “I can briefly tell you that the teachers, supervisors & organizers in Budapest couldn’t have been more supportive & I still feel that way 13 months later. Through the language school, I have had all my corporate jobs, which I loved & because we have such a great working relationship, they have involved me in lots of other projects! 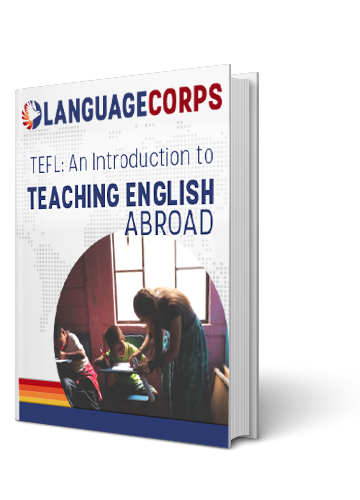 We always do our best to provide as much information as possible to anyone that is contemplating teaching English abroad. We want you to have all the facts, and we try not to sugar coat anything. Teaching in a foreign country is an amazing experience for most, but it’s not for everyone. It requires patience, flexibility, hard work and diligence. We believe it’s well worth the effort, but we want you to be prepared! However, at a certain point in life, it comes time to just take action. We can ask as many questions as we want, research to end of the internet and back again, and take every possible measure to be prepared. But, like Randi says, there are no guarantees, and we shouldn’t shy away from new experiences just because we aren’t 100 percent certain of the outcome. This applies to just anything in life, but is particularly relevant to teaching English abroad, and travel in general. We want you to ask questions, and we absolutely want to mitigate risk whenever it’s even remotely possible. But at the end of the day, this is your life, and what you do with it is up to you. Leaving your home, or your job, or your friends and family might scare you, but the old cliche holds true. The things that scare us the most are often the things that are most worth doing. Just something to keep in mind for those of you that are debating what you want to do with the next chapter of your life. Maybe it’s teaching English abroad. Maybe it’s not! You should absolutely ask questions, research to your heart and mind’s content, and carefully weigh your options.